Rock guitarist who played with Styx, Damn Yankees, and Shaw Blades and who also went on to pursue a solo career. 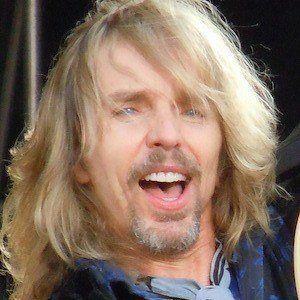 He was discovered by Styx while playing music at a bowling alley. MSFunk was his first band, the one that got him noticed. He has been involved with many rock compilations and tribute albums like one for Queen, on which he sang "Spread Your Wings." He married Cuppy Enders in 1975, Pamela Donnelly in 1986, and then Jeanne Mason on December 28, 2000. He has a daughter named Hannah. He has written songs for Ozzy Osbourne.